Leslie Basham: Nancy Leigh DeMoss says we can all learn from the mother of Jesus. 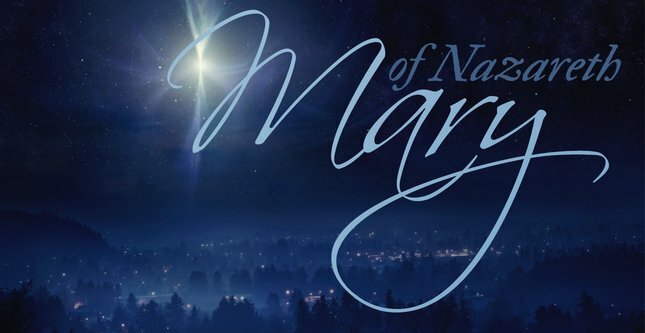 Nancy Leigh DeMoss: What Mary did in carrying the life of the Son of God in her womb for those nine months and giving birth to that child is just a picture of what God wants to do in and through each of us. God has placed within us as His children the life of His Son Jesus. Our task, our calling, our purpose here on earth is to be instruments of giving the life of Jesus to this world. Leslie: This is Revive Our Hearts with Nancy Leigh DeMoss. It’s Monday, December 22, 2014. Nancy, sometimes it takes a lot of faith to accept the surprises the Lord brings into our lives. Nancy: That's right, Leslie. And we've going to be talking about that today. I don't know that anyone could better understand that than Mary of Nazareth. During this week when we mark the birth of Jesus, we're going to take a look at Mary. She's one of my favorite biblical characters. I don’t think any of us will face a surprise as dramatic as Mary’s, but each of us is called to surrender to God’s calling like she did. One Revive Our Hearts listener named Jen has been learning this. She recently wrote and told us that two-and-a-half years ago, she was surprised to discover she was carrying twins. Surrendering to that calling—the high calling of being a mother—meant that she decided to leave her job so that she could focus on raising her children. I will never be able to repay you for all your programs have taught me over the last two-and-one-half years. Listening to your teaching helps me daily and encourages me in ways I could never have imagined possible! It is so amazing how God works in our lives. Revive Our Hearts is able to be on the air in Pennsylvania where Jen lives, thanks to the support of listeners like you who believe in this ministry and want to see it continue. We're asking the Lord to provide for some significant needs in order to keep outreachs like this program going. Over the past few weeks, you've heard us talk about a $650,000 matching challenge that we're asking the Lord to help us meet and exceed. For all of you who have given to help with that challenge so far, I want to say a huge, "Thank you." For those who have been thinking about giving toward that but just haven't done it yet, the deadline is next Wednesday. With such a significant portion of our annual support coming in these few weeks of December, we really need you to prayerfully engage and be part of helping us to meet and exceed that matching challenge. Thank you so much for helping women in all seasons of life to thrive in Christ. Leslie: Thanks, Nancy. To make your donation, contact us at ReviveOurHearts.com, or call 1–800–569–5959. Let's join Nancy in the series "Mary of Nazareth." Nancy: As I’ve talked with Christian women all over this country, I’ve found that many of them have a deep desire in their heart to be a godly woman. But some of them have shared with me that they really don’t know how to be a godly woman because in many cases they have not had any models of what a woman of God looks like. I’m so thankful that the Scripture gives us some wonderful portraits of godly women. One of my very favorites is the story of Mary of Nazareth, Mary the mother of Jesus. In some of our traditions Mary has been exalted to a position honestly beyond that which Scripture gives to her. But some other traditions, in reaction to that perhaps, have really de-emphasized Mary and have not given her the honor that the Scripture does give to her. So we want to strike a balance there and again go back to the Word of God and find out what the Scripture has to say about this woman. Over the next several sessions, we’re going to be looking at some qualities in the life of Mary of Nazareth, and they are qualities that are true of a woman who wants to be a woman of God. These qualities, when you put them together, paint a portrait of a godly woman. In this woman we find a model. We find an example—not a perfect one but one who teaches us much about what it means to walk with God as women in our day. God never intended just that we should get the Word of God into our minds. God wants us to get this Word into our hearts and into our lives and then, through our lives, to reproduce that truth of the Word of God in the lives of others. So we’re not just going to learn about Mary, but we’re going to ask some penetrating and heart questions to see where we are in relation to these qualities. I’m reading in Luke chapter one beginning in verse 26. In the sixth month God sent the angel Gabriel to Nazareth, a town in Galilee, to a virgin pledged to be married to a man named Joseph, a descendant of David. The virgin’s name was Mary. Mary was greatly troubled at his words and wondered what kind of greeting this might be. But the angel said to her, "Do not be afraid, Mary, you have found favor with God. You will be with child and give birth to a son, and you are to give him the name Jesus. He will be great and will be called the Son of the Most High” (vv. 26–32). As the story of Mary’s life begins to unfold, the first thing that stands out to me about this woman is that she was a very ordinary woman—nothing remarkable or extraordinary about her. Apparently she was not from a wealthy family. She was not from a famous family. She was probably uneducated, probably illiterate, not able to read, because women in that day were not taught to read. She was a single, young woman, probably just a young teenager. She was engaged to be married. I imagine she was doing what engaged women do—thinking about getting married—and this was perhaps all that was on her mind, preparing to see her lifelong dreams fulfilled to be a wife and a mother. She was not expecting anything unusual, any out of the ordinary, coming into her life. But one day God shook this young girl’s world and everything changed from the appearance of this angel, the messenger of God sent to Mary. Nothing was ever the same in her life from that day forward. She was an ordinary woman. As we examine her life, we see that it is her relationship with Jesus that is what gave her life significance. That’s what makes her worth studying. That’s why we’re reading about her today. It was the relationship that she had to Jesus that made her extraordinary. You may not think of yourself as an extraordinary person. You may think of yourself as a very ordinary woman, but when you have a relationship with the God of heaven, when the Lord is with you and in you, that gives your life significance and worth and value. That’s what makes the difference in your life or in anyone’s life. Many of us as women assume that we must be extraordinary to be used by God; that we have to have extraordinary gifts or abilities or education or training. I ran into a woman at the mall the other night whom I had never met. She came up and introduced herself to me. She had attended one of the conferences that we had done. She was talking about where she is at this season of life. She's in her mid-forties, and she is looking for God's direction in her life. She said, "I'm just a simple, plain person. I don't have a lot of education. I don't really have any skills." She's thinking of herself in the way that many of us do—nothing special, nothing extraordinary." As I looked at that young woman, I thought, Here's a woman that God can use, because of her relationship with Christ. That's what makes our lives valuable. In the first chapter of 1 Corinthians, Paul talks about this very matter. Apparently we’re not the only ones who’ve ever wondered how God could use us. Think of what you were when you were called [when you came to faith in Christ]. Not many of you were wise by human standards [some were, but not many]; not many were influential; not many were of noble birth. But God chose the foolish things of the world to shame the wise; God chose the weak things of the world to shame the strong. He chose the lowly things of this world and the despised things” (vv. 26–28). So that no one may boast before him (v. 29). If your life makes any difference in anyone else’s life or in the kingdom of God in the light of eternity, it won’t be because you were something special. It won’t be because you were extraordinary. It will be because you have an extraordinary God, and you've walked in relationship with Him. When God uses you, you’ll never be able to get the credit for what God has done. Everyone will know, you will know, others will know, God has done this. Mary was an ordinary women, and it was her relationship with Christ that made her extraordinary. So let me ask you this question as we seek to apply these qualities to our own lives: What is it that gives your life significance? Do you believe that God can use your life to make a difference in this world? You may think, I’m not a speaker. I’m not a singer. I’m just a mom at home with these kids. Don’t ever tell me you’re “just a mom at home with these kids.” May your tribe increase. God has given you a special calling as a mom, as a wife there in your home. It’s your relationship with Christ that gives you significance. In the midst of being obedient to God and living out your faith in the sphere where God has placed you, that’s how God will use your life to make a difference in this world. I see secondly that Mary was a pure woman. She was a woman who had a pure heart. We’re told that she was a virgin. That may not sound unusual to you, but keep in mind that Mary lived in the town of Nazareth. She lived in a community that was noted for its moral corruption. Nazareth was located on a major trade route and frequently Gentile merchants and Roman soldiers would come through. Many of the young women in Nazareth would make themselves available to these men. But in an age and a geographic location that were known for their moral corruption, Mary had kept herself pure. When God was looking for a vessel to carry the life of His Son and to bring that life into this world, God looked for a woman with a pure heart. I think of the biography of Frances Havergal who is one of our great American songwriters, hymn writers. Her biography is called Kept for the Master’s Use. I like that. That's what I'd like my biography to be called. (I don't expect one to ever be written, but if it were, I'd like that title. )Kept for the Master’s use—that’s what I want to be; consecrated, set apart for the Lord so that He can use my life to fulfill His purposes. I know that there are women in this room who are reaping today the blessings and benefits of having made right choices over the years and having a long-term commitment to personal purity. There are others in this room who know the pain and the loss and the regret of not having kept yourself pure. That doesn’t mean that God can’t use you because God can and will bless a repentant heart. He can and will restore purity to a heart that is truly repentant before Him. But I believe if you’ve been down that road, you would agree that we need desperately to teach our daughters and our younger women today the importance and the value of a commitment to personal purity, the possibility of living a life without regrets. Are you a pure woman? Do you have a pure heart? Are you pure in your motives, your thoughts, and your private habits? The things that only God sees and knows? Are you pure in external matters? Behavior? Relationships? What you read? What you listen to? What you watch? Are you pure in your relationships at work? God is looking today for pure women that He can use as His instruments to accomplish His purposes in this world. We’re going to see in the life of Mary that God wanted someone who would bring His Son into this world. Today, God is still looking for women, vessels, instruments who will be carriers, containers of the life of His Son Jesus and will take Him into this world that so desperately needs to see Him. In order to do that, God is looking for pure vessels that He can fill with His Holy Spirit. I want us to notice today that Mary was also an undeserving woman. When the angel first approached Mary in Luke chapter 1—and we’re in verse 28—the angel went to her and said, “Greetings, you who are highly favored” (NIV84). That word could be translated, “You who are graciously accepted.” If you’re accepted in the eyes of the Lord, it’s all of grace. That’s the only way to be accepted in the eyes of the Lord is of grace. There is nothing in us that deserves His favor. It’s all unmerited and undeserved. She marvels that God would choose her, that God would use her to accomplish His purposes in this world. I love that story in the Old Testament, you find it in the Song of Solomon, a little book stuck away there in the middle of the Bible. The story is told of a king who wanted to find a bride. Much to everyone’s surprise, he didn’t pick one of the women in the capital city who was beautiful or well educated or came from a famous family. Instead, he went out into the countryside into a rural area. There he found a nobody, a young woman who was working in her family’s vineyard. Her skin was coarse and darkened by having been beat upon by the sun. She was not anything spectacular, not at all the makings of a bride for a king—at least no one else would have thought. But the king said to her, “I want you to be my bride.” She’s astounded. She’s amazed that he would choose her. She never gets over the wonder that he would love her. She keeps asking. You sense her asking throughout the book of Song of Solomon, “Why would he have chosen me?” There’s never an answer given to that question except he loved her. As I think back to the time when God found me as a little girl, May 14, 1963, and I first sensed his call in my life, "I want you to belong to Me," I simply said, "Yes, Lord." My heart since that time has never ceased to wonder why He would have chosen me. The more I know myself, the more I know God, the more I know how absolutely undeserving I am that He would choose me. The favor that God has placed in my life if all of grace. Are you conscious that anything good or useful about your life is the result of His undeserved grace poured out on you? Do you realize that there’s nothing good, nothing useful that you have to offer Him? It’s all of His grace. She was an undeserving woman. I want us to read ahead in the passage—we’ve been in Luke chapter 1—and I want to pick up with the account at verse 26. The Scripture says that God sent the angel Gabriel to Nazareth to a virgin pledged to be married. She was an engaged young woman. The angel said to her, "The Lord is with you. You are graciously accepted or highly favored." And Mary was troubled by these words. But the angel said to her, “Do not be afraid . . . You have found favor with God. You will be with child and give birth to a son, and you are to give him the name Jesus . . . The Lord God will give him the throne of his father David, and he will reign over the house of Jacob forever; his kingdom will never end” (vv. 30–33). Now in response, verse 34, Mary says to the angel, “How will this be . . . since I am a virgin?” The angel’s answer I just love. The angel says, “The Holy Spirit will come upon you, and the power of the Most High will overshadow you. So the holy one to be born will be called the Son of God” (v. 35). As we look at this passage, I see that Mary was a chosen woman, chosen by God. She didn’t choose God; God chose her. She didn’t choose to be this instrument that God would use. God said, “I want you.” We can’t explain God’s choices, but we trust Him and we thank Him for them. She was chosen by God for a special task of eternal significance, not because she was anything—let’s not forget that—but because God was with her. That’s what the angel said, “God is with you.” That’s what gives you favor. Could I say to each of you women in this room, God has chosen you for a task of supreme, eternal significance. God chose you. You may not feel very chosen, but God has chosen you. If you are a child of God, He chose you. You weren’t looking for Him. He went looking for you, and He has a purpose for your life. God wants to use you to give spiritual life to others. What Mary did in carrying the life of the Son of God in her womb for those nine months and giving birth to that child is just a picture of what God wants to do in and through each of us. God has placed within us as His child, the life of His Son Jesus. Our task, our calling, our purpose here on earth is to be instruments of giving the life of Jesus to this world. Are you conscious of having been chosen by God to fulfill a specific purpose in this generation? Have you ever stopped to think about the fact that God chose you, not just for salvation, wonderful as that is, but even beyond that to be a part of His redemptive plan in the lives of your children, your mate, your friends, your co-workers, people in your church, people in your community? God wants to use you as an instrument of bearing the life of Jesus to others. I want us to look at another characteristic in the life of Mary and we see it in the passage we just read. We see also that she was a spirit-filled woman. Ladies, I wish I could count the number of times I have felt this and said this to the Lord and others. How can I do this? I don’t have the ability. This is impossible. You see, this task was only to be possible by the power of the Holy Spirit. God chose a woman that He knew couldn’t have a child because God wanted to get the glory for Himself. This was to be the Son of God. God knew it would require the power of His Holy Spirit. God specializes in the impossible so that we can never get the glory. Don’t ever forget that you cannot do whatever God has called you to do. Oh, you can do a lot of good things, but you and I will never accomplish anything of eternal significance apart from the power of the Holy Spirit coming upon us and filling us and enabling us to do the will of God. You can’t parent those children. You can’t love that husband. You can’t care for that elderly parent. You can’t be the woman you need to be in your workplace, in your church, and in your community. You cannot fulfill the ministry responsibilities that God has placed upon you. You can’t do it. By the way, as soon as we think we’ve got a little experience under our belt and we can do this, at that point I believe, in a sense, we become useless to God because then it’s just the natural man, the natural woman, the natural flesh doing what flesh can do best. But flesh can never please God. Only the Holy Spirit working and moving on us and in us and through us can bring about results that are pleasing to God. That’s why we’ve got to be willing to get out of the way to let God take over and by faith to be filled with the Holy Spirit of God, knowing that He can do it in me and through me. Are you depending on the power of the Holy Spirit to be and do that for which God has chosen you? Think about the responsibilities God has given you in your role as a woman in this season of life. Are you consciously depending on the power of the Holy Spirit to do that job, to fulfill that task? Are you seeking a fresh, daily filling of His Holy Spirit in your life? When you became a Christian, the Scripture says that the Holy Spirit came to live inside of you, and He never leaves you. But we’re called upon to be continually being filled with the Holy Spirit. Oh Father, what an awesome thought that You would have chosen me; that You would have chosen us, through no deserving of our own, through no merit of our own, You have graciously favored us. You have graciously accepted us through Christ and chosen us to be Your representatives to reflect You and Your glory in this world that so desperately needs to see You. Lord, forgive us for thinking that we don't matter; that the way we live doesn't matter; that our lives don't count. They do count. You've chosen us, and we want to be faithful to fulfill that stewardship. Thank You for calling us to do things that we cannot possibly do on our own—for giving us impossible tasks so we have to depend on You to fill us with Your Holy Spirit. So Father, afresh this moment we pray as women, would You come and fill us with Your Holy Spirit. By faith we trust You to do that. We believe that even the tasks that we have as we leave this place today You will be enabling us to do by the power of Your Spirit. We thank You for that, in Jesus' name, amen. Leslie: Whether you’re stuck under a pile of work, or shopping for last minute presents, Nancy Leigh DeMoss has been showing you why it’s so important to do everything for God’s glory and by His power. When I sit down to talk with you, the engineer will often start our recording session by praying in the studio. I’m thankful for that because it’s a reminder that we need God’s help for each word that airs on Revive Our Hearts. Nancy can’t teach without His strength. I can’t announce. Our correspondence department can’t answer email. It's also through God’s leading and providing that our listeners donate to the ministry. Would you pray that God would provide the strength, the staff, and the financial resources the ministry needs in order to continue into 2015? Your prayers mean so much to us. Does your life make any difference in the world? It might matter more than you realize. Nancy will explain next time. We’ll be back tomorrow with more Revive Our Hearts. All Scripture was taken from the New International Version 84.